CSW is saddened by news that one of the hostages abducted by the Islamic State (IS, Daesh) during the attack on Suwayda in southern Syria on 25 July was executed on 2 August. 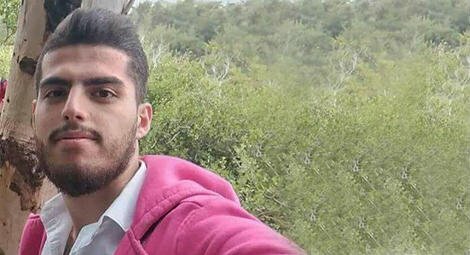 CSW’s sources have confirmed that Muhannad Zouqan, 19, was executed on 2 August, although IS announced his execution on 6 August after negotiations with community leaders to free the hostages reached a deadlock. On 25 July, IS terrorists conducted a number of suicide attacks in markets and residential areas in As-Suwayda Governorate, and stormed villages in the region. The attackers are thought to be amongst the IS terrorists who were evacuated from Al-Yarmouk Camp in southern Damascus a few months ago following a deal with the Syrian government. According to CSW’s sources, more than 300 people were killed, 298 injured and 37 abducted in the attacks. The victims included women and children and in some instances, entire families were wiped out. A pregnant woman has reportedly given birth in captivity after she was kidnapped together with her three children. On 26 July, IS’s media outlet Amaq posted videos of the executions of some of the abductees. The As-Suwayda region is mainly occupied by the Druze ethnoreligious group. The Syrian Druze are believed to constitute around 3.2% of the population. Originating from the Near East, the Druze self-identify as ‘Unitarians’ or ‘the People of Monotheism.’ They are deemed by hard-line Islamists to be heretics, and in the past their communities in Idlib Governorate in north-western Syria suffered several attacks. Sources close to CSW believe that the Syrian and the Russian authorities, who effectively control the region, may be complicit through deliberately reducing their military and security presence on the fronts with IS. Many community leaders believe that the authorities are doing this to force those who refused to take part in the conflict to side with the government and contribute to the military efforts by encouraging young men to join the army.